Break rooms across America display signs imploring staff to clean up after themselves. 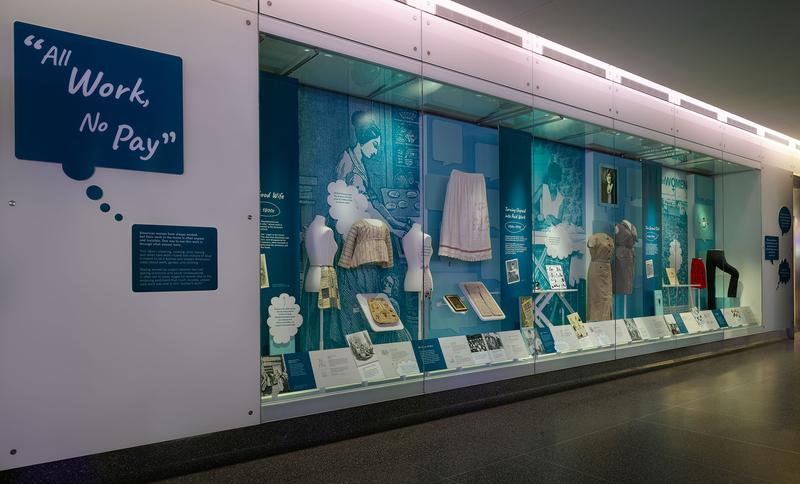 They read: “Your mother doesn’t work here.” The National Museum of American History’s new exhibit, “All Work, No Pay: A History of Women’s Invisible Labor” examines just that: the implied expectation that women will take care of the housework. 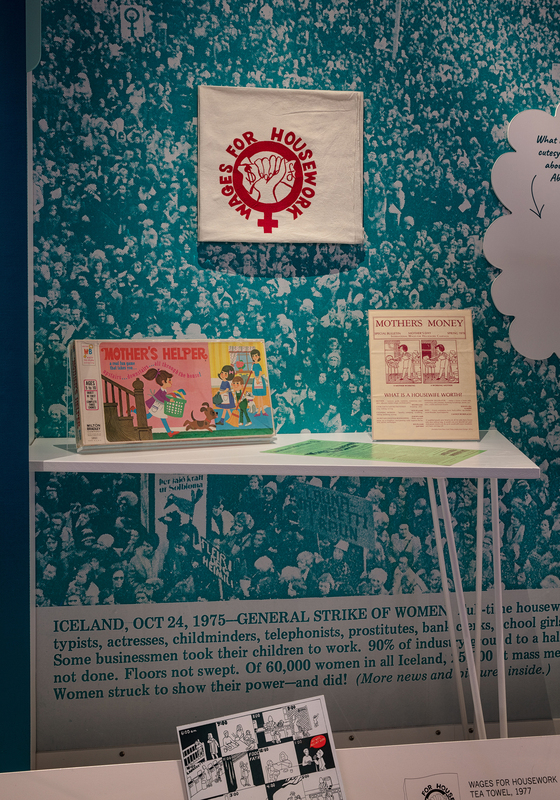 Opening March 4, this case display shows that despite advances in the paid labor force, women continue to be responsible for most of the unpaid work at home. The display explores the theme of unpaid work in three sections: “Separating Home and Work,” which identifies the changing perspectives of gender roles and work in early America; “Making Unpaid into Paid Work,” which contrasts gains in the paid workforce against the continuation of unpaid work in the home from the 1890s to 1940s; and “The Second Shift,” in which the unspoken expectation of housekeeping continues despite progress in women’s rights from the 1960s through the 1990s. “There is a historical relationship between unpaid work and the lower wages that women often receive in the workplace,” said Kathleen Franz, chair and curator, Division of Work and Industry, who co-curated the exhibition alongside guest curator Kate Haulman, associate professor of history at American University. An infographic at the display points to a statistics from the U.S. Department of Labor based on the 2013 U.S. Census that women on average earn 80 cents to every dollar men make. 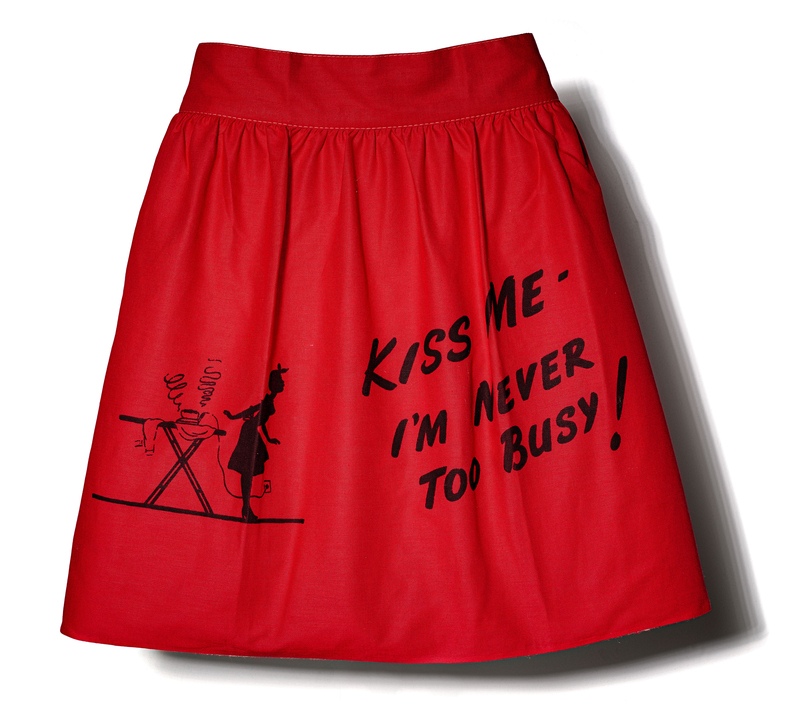 Pockets, aprons and housedresses meant for domestic work are among the featured objects. “Work wear” pieces from each time period serve to both underscore the enduring nature of housework over three centuries but also the ways in which women tailored their clothing to make that work easier on the body. In the 1700s and early 1800s, short gowns were garments owned by most women and highlight how they shared similar tasks across race and class despite the complicated dynamics and inequalities between them. 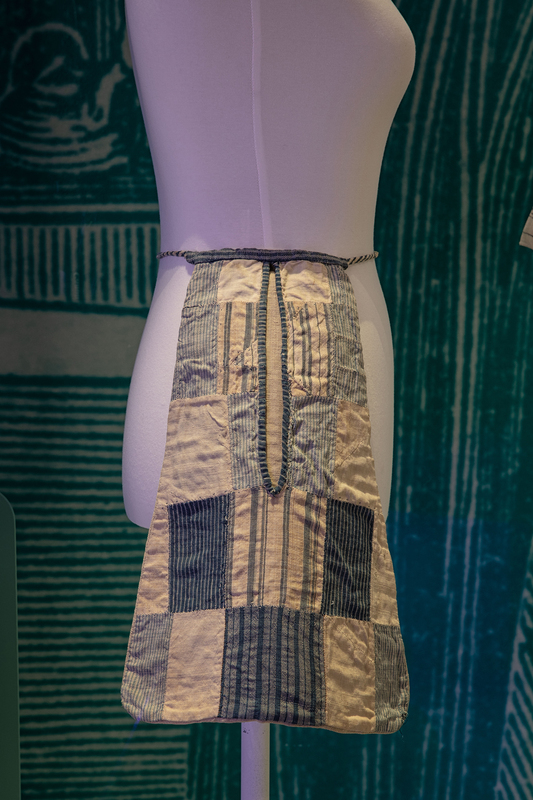 These short gowns allowed for freedom of movement and were often complemented by “pockets” which could be tied on and used to carry small tools such as scissors and thimbles. By the 20th century, there was a healthy retail market for ready-to-wear housedresses. Although new technologies, such as electric irons, promised to make women more efficient domestic laborers, they did little to lighten the load. Seeing an opportunity, entrepreneur Nell Donnelly Reed designed cheerful, stylish garments that made her a millionaire. Even during the Great Depression, her factory employed thousands of women to manufacture Nelly Don dresses. Finally, the exhibit features today’s version of the contemporary housedress: yoga pants. 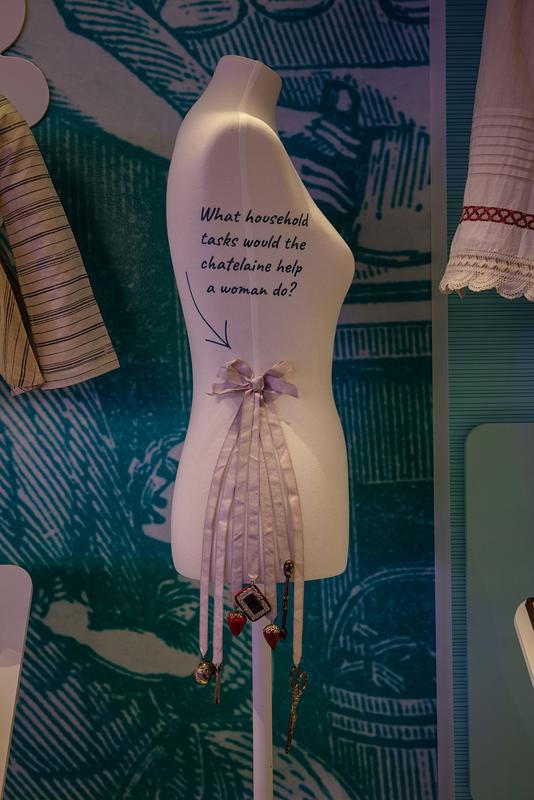 Many of the costumes on view represent the type of women’s clothing that is rarely seen outside of the home and thus are representative of the invisibility of women’s labor over time. “All Work, No Pay” draws on the deep collection of the museum’s domestic clothing costumes, many of which have never been on view. This display is part of the Smithsonian American Women’s History Initiative, #BecauseOfHerStory. The initiative is one of the country’s most ambitious undertakings to research, collect, document, display and share the compelling story of women. It will deepen understanding of women’s contributions to the nation and the world. More information about the initiative is available at https://womenshistory.si.edu. “All Work, No Pay” is meant to stimulate intergenerational conversations about the association of gender and labor and will have a space adjacent to the display where visitors are invited to sit and share stories about who did the work in their mother or grandmother’s houses to build an archive of housework. 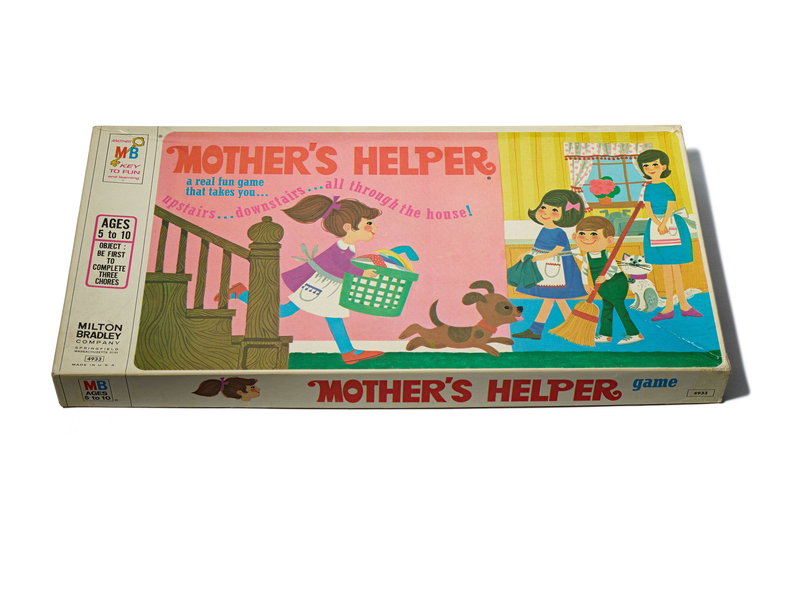 Curators plan to staff the conversation table on occasion in order to enter into a dialogue about the topic and to record and preserve oral histories about housework for the museum’s permanent collection.